L-R: Richard Adams, Felicity Palmer, Miller Crockart, David Streeter. Three senior appointments have been announced at HORIBA MIRA as the business continues to strengthen its global sales operations. 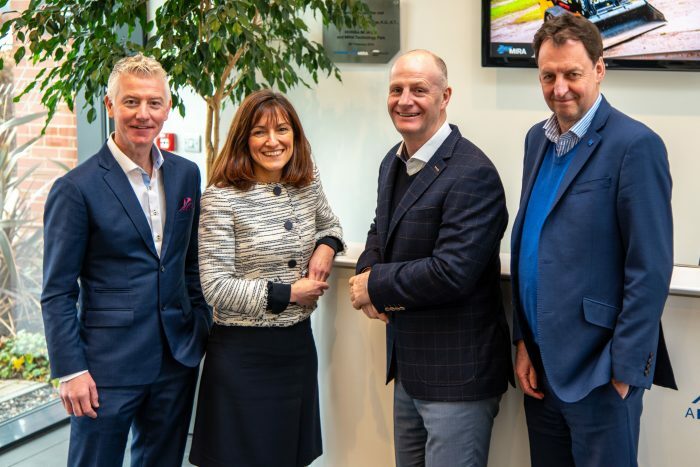 David Streeter has been appointed to Head of Global Sales, Felicity Palmer now takes on the role of Head of Global Business Development and Richard Adams has been appointed to Head of International Sales. With over 80 years combined experience in the automotive industry and over 41 years of experience working at HORIBA MIRA, the team has been assembled to provide dedicated account leadership for HORIBA MIRA’s global customer base, allowing customers to better access the company’s engineering testing and research services.